Lovejoy is a street, a neighborhood and a council district on the East Side of Buffalo. The street used to run to Fillmore Avenue but when the railroads near the Central Terminal cut Lovejoy Street in half, the portion in the Polish neighborhood was renamed Paderewski. Sarah Johnson was born October 21, 1771. Sarah married Joshua Lovejoy. The Lovejoys came to Buffalo in 1807 or 1808 from Avon on the Genesee River. 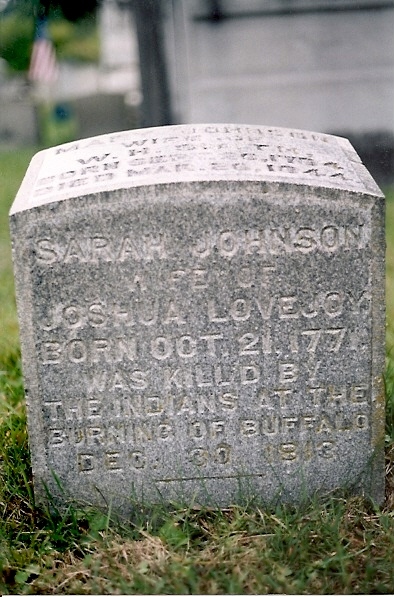 Sarah Lovejoy was the only woman killed in the defense of Buffalo when it was burned by the British in 1813. When the British came, most of the men went to Black Rock to defend against the attack. Sarah remained with her 12-year-old son, Henry. On December 30th, 1813, she sent Henry into the woods as the British Native Americans arrived in Buffalo. She was afraid they would take him prisoner but felt that they would not harm her since she was a woman. Henry is said to have grabbed his musket and went towards Black Rock, rather than hiding as his mother asked him. As the Native Americans went ransacked her house, she fought hard to save her treasured belongings. The house was located at 465 Main Street, across from the St. John House. The St. John family tried to convince Sarah to come to their house, but she chose to stand her ground and defend her home. It is said that she stated “When my property goes, my life shall go with it.” As she tried to pull a shawl out of the intruders hands, she was stabbed with a tomahawk. Her body was dragged into the yard. When the troops left, her body was carried into the house and placed on her bed by the St. Johns and Ebenezer Walden. 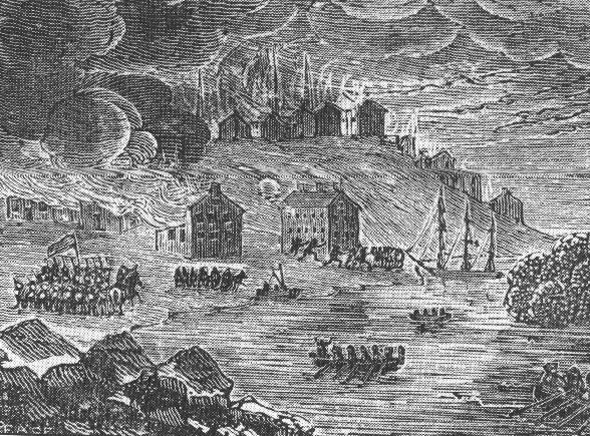 The British returned the next day to finish their pillaging of Buffalo, and her house was burned with her body in it. There is a cenotaph in Forest Lawn Cemetery to honor Sarah and also a memorial in Mumford Rural Cemetery near her parents. Joshua Lovejoy married Sarah Grey Ferriss, a war widow who’s husband had died while bringing supplies to Erie during Commodore Perry’s victory on Lake Erie. Joshua Lovejoy died in 1824 at age 53. 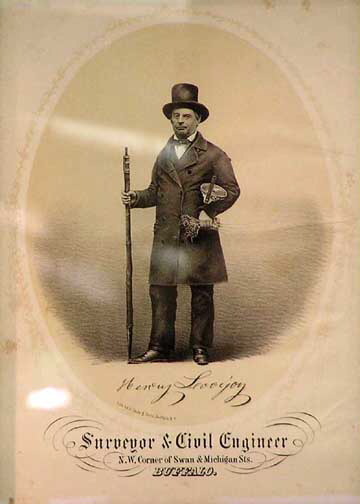 Sarah and Joshua’s son, Henry Lovejoy became a well-known surveyor in Buffalo. 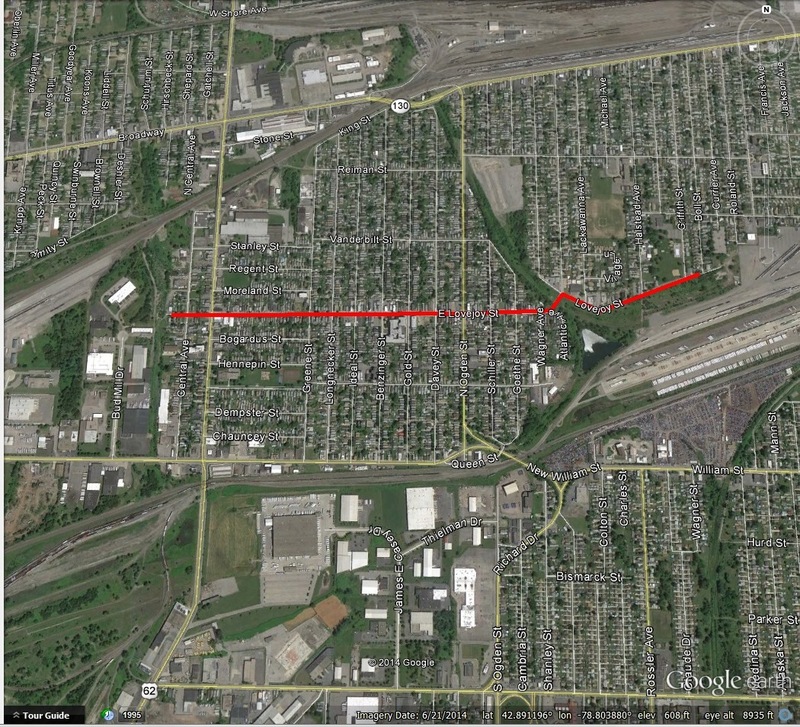 Henry laid out the streets and ran lot lines in most of the older parts of Buffalo. 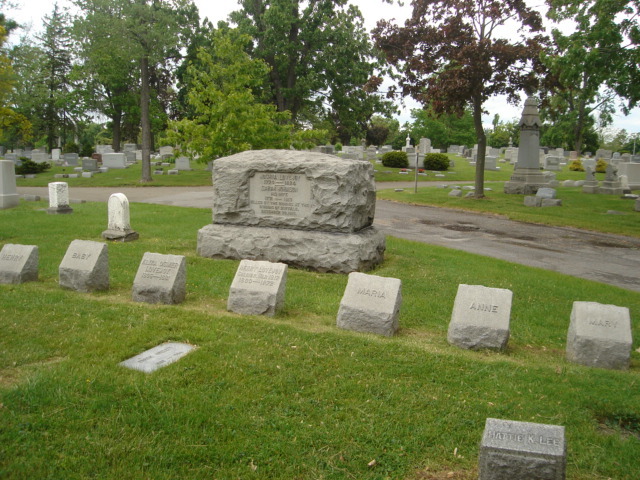 Henry died in 1872 and is buried in Forest Lawn Cemetery in the Lovejoy family plot. Ketchum, William. An Authentic and Comprehensive History of Buffalo. Rockwell, Baker & Hill, Printers: Buffalo, NY. 1865. Smith, Henry Perry. History of the City of Buffalo and Erie County. D. Mason & Co, Publishers. Syracuse, NY: 1884.